To secure royalty based financing you need to have a proven growth plan in place, proof that you can make the flexible monthly payments, and be able to specify how the funds will be deployed. 1.Proven Growth Plan in Place. Investors need to see a clearly defined, proven sales process in place that demonstrates how and when you will hit your aggressive revenue growth forecast, along with 2 years of solid historical financial documentation. Ideally, your revenue should average at least $250k per month, with the potential to double revenue over the next 5 years. Proof of profit margins of 30% or greater is desirable. Businesses with predictable Monthly Recurring Revenue (MRR) are excellent candidates for RBF. But, you do not have to be an MRR business. Growth is the key factor. Monthly payments are 1% to 5% of your top line revenue. For example, if your monthly revenue is $300k and your royalty rate is 2%, your payment for that month is $6k. If revenue drops to $200k the following month, your payment is $4k. The monthly payments must not distress your cash flow. The money is for aggressive growth, not working capital. Use it to expand sales/marketing, launch new products, make an acquisition, expand geographically, etc. It is critical to show the investors how the funding will help you hit your growth target. 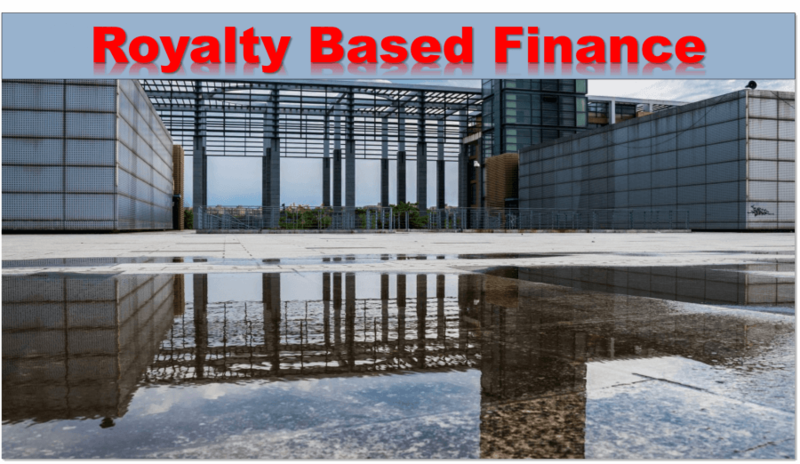 Royalty Based Financing is business friendly growth capital for emerging companies to expand their business and increase the value of their company without sacrificing equity, or taking on cumbersome debt. The loan is paid from a small percentage (1% to 5%) of your monthly gross revenue.